The key to our rodent control in Phoenix is that we identify all the holes in your house that the rats or mice can use to get inside. We seal all of these holes shut with professional grade repairs. That's the only way to solve the rodent problem permanently! We never use poisons. We trap and remove all of the rats inside. This is by far the most effective approach to rodent removal in Phoenix or anywhere in Arizona. What equipment is needed to trap a house mouse or other rodent? - The house mouse is an animal in the family of the rodents and it has pointed snout, large ears and small eyes. It has hairless tail and it is common to be found in the house. The men have always tried to get rid of the mouse by using different items like peppermint plants, essential oils and mothballs. However, since these remedies may not work, then there is an option to use other equipments like the traps. Using the traps is the recommended method that you need to get rid of the mouse infestation. It is a humane way that you can capture the animals but you do not have to poison them. 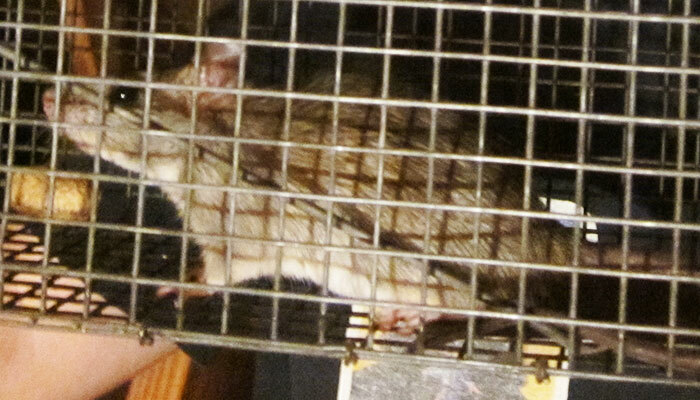 It is easier to dispose the captured rodent and you will not have to touch them. When the mouse dies, it is going to be easy to capture and to dispose such dead body. The commercial rat traps are the commercial traps that are found at the market and they can be bought at the supermarket or in the hardware. They are normally made using the iron wire or the spring trigger that are attached on the piece of the wood. When the Phoenix mouse has attached the iron wire, a trigger is going to spring out and it will capture the Arizona mouse. As we all know this fact that wild animals can’t be kept as pets, even then many of us have them at our home deliberately or sometimes, unfortunately! This is the reason why, we all need a service to help us in getting rid of these wild animals if we are failed to do so by our own. The exclusion funnels are the piece of the chicken wire that are made in the round shape and they are coiled using the plastic funnels at the two ends., the funnels may serve as the one way entrance for the Phoenix rodent so that they may get in but when they are already found in the funnels, it is going to be hard to come back since they have ridged edges. The inner ends have been designed in the way that they can be too narrow so that they may fit in the rodent from inside. The glue traps are classic mousetraps and they are sticky pads that are put in the way that the animals use to pass. The live traps are rectangular wire containers with only one way to enter. The opening have the metals and the wood which springs the trigger and when the mouse have stepped inside, the cover closes and the mice or other Arizona rodents will not go out.